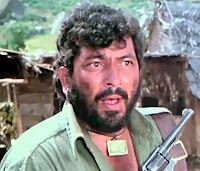 Growing up as a school boy in the late 70s, it was hard to miss the famous Gabbar Singh (Amjad Khan) dialogue from the movie Sholay – Kitney admi they? (How many guys were there?) It was popular among kids and a mandatory item during family gatherings. What I realized only recently about this dialogue is that it is a great example of self-deception, a phenomenon in which our thought process is fooling us and we are not even aware of it. How does Gabbar Singh dialogue demonstrate self-deception? That is what we will see in this article. The dialogue has three of Gabbar’s gang men – Kalia and two others - sheepishly standing because they have come back empty handed – without any loot. Moreover, they were driven away by two young men. Gabbar is really upset. He tells them that the government has put up a huge prize for catching Gabbar. In fact, every mom living several miles away is telling her child to be quiet while putting her to sleep. “Otherwise Gabbar Singh will come,” she says. And these three men with their cowardly act had tarnished Gabbar’s image. 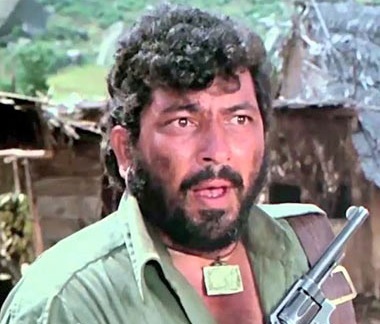 The dialogue ends with Gabbar killing all three and finally proclaiming his team’s core value – “Jo darr gaya samjho mar gaya” – Once afraid, as good as dead. “Living in fear is not worth living” is quite a profound statement. One can easily misattribute it to some spiritual teachers like J. Krishnamurti or a Zen master. However, Gabbar appears to be a living embodiment of that value. Or does he? On a closer look, we can see that there is a self-deception going on. Actually, Gabbar is also a fearful man. What is he afraid of? Gabbar is afraid of his self-image getting damaged. In fact, deep down he knows that his image is not that secure. He can’t bear the thought of such a downgraded image. However, the most interesting part is that Gabbar is not even aware that he is also a fearful man. A man who goes to the extent of killing his team members for a value is not even aware that his own behaviour is contradicting the same value. That’s why this phenomenon is called self-deception. What is self-deception? It is a process in which our thought process misperceives reality and mis-attributes cause and effect. For example, it perceives that the person in front has said something insulting and it has resulted in a feeling of hurt. Then it attributes the cause of the hurt feeling to the person in front. Thought concludes the person in front has caused the pain. Similarly, Gabbar concludes that Kalia and team are the problem and he needs to get rid of it. He doesn’t see that if being fearful is the real problem then he is infected with the same problem. The real cause of the hurt feeling isn’t the so-called “insulting” words. The real cause is yet another thought stored in our memory in the form of a belief that insulting words are bad for us. Thought treats it similar to someone throwing dirt at us. This belief springs into action from memory when the insulting words get interpreted and automatically creates a feeling of pain. So the real cause of the pain is one’s own belief. If, for some reason, the belief is altered e.g. if somebody says, “I am bad” that doesn’t make me bad, the same insulting words would have a different effect. When one pays attention to the thought process in situations which upset us, one may begin to see how thought is running the business of managing self-image. And it may unravel the self-deception. Perhaps one may be able to stay with the feeling of diminished self-image without reacting. And then a different reality might unfold. Until one experiments in real scenarios and sees the process in action, just the knowledge that there is self-deception, is really not of much help. Hope you get to experiment with your negative emotions and see if there is any self-deception in action. Like Gabbar, you don’t want to end up “killing” the innocent guys, do you? Jiddu Krishnamurti talks about it in chapter 18 of “First and last freedom” titled Self-deception. David Bohm has written as article titled “On self-deception in individual, in groups and in society as a whole”. certain activity in the field of social work, religous or political activities which lead to strengthen our self. Very good.